Inmyel | It’s bbq season! 18 May It’s bbq season! 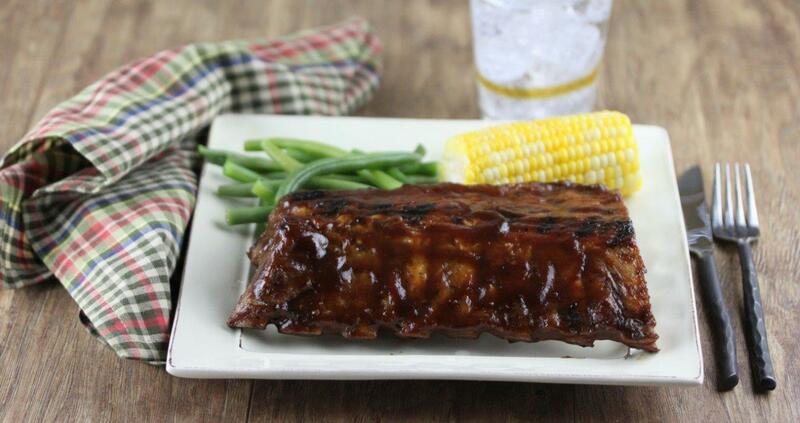 Let’s talk about back ribs. I worked in the pork industry for a number of years but almost got fired in my first week. Why? Well my boss asked me how I cook my back ribs. I told him that I pre-boil them before grilling to ensure they are fall-off-the bone tender. WRONG answer. Why? You see when you boil ribs you draw out the flavor out of the meat and bones into the water…the same way you make soup stock. So, how do you get the meat to fall off the bones? Steam them. Here is how. Start by peeling the membrane off the back of the rack. Then place the racks bone side down, single layer on a rimmed baking sheet. Pour enough water to cover about 1/4” of the baking sheet. Bake on low heat for a very long time…275°F for about 3 to 4 hours. Test the meat for tenderness by using a fork. If the meat separates easily from the bone you’re good to go. If not, continue to bake checking periodically. Now go for the grill!